Product version: v1.1.6, last updated: March 13, 2019. 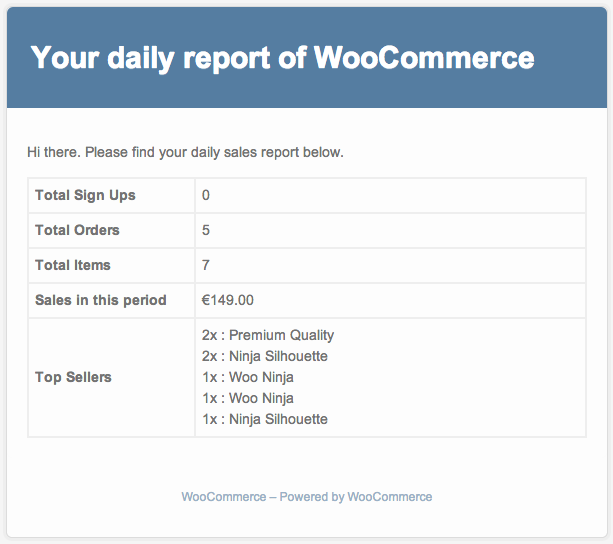 WooCommerce Sales Report Email is a WooCommerce Extensions being developed by Woothemes. WooCommerce Sales Report Email allows you receive daily, weekly or monthly report email from your WooCommerce store containing information about how your store’s products are performing.